Infrequent in the populations where it does appear, this autosomal ancestry marker is nevertheless a bellwether gene. 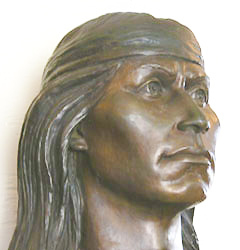 It is named for the Apache chief Cochise who survived against all odds and lent his name to the Cochise Culture, an archaic phase of American Indian traditions beginning about seven thousand years ago in the American Southwest. It is found at levels of 11-18% among Mexican, Maya, Quechua and Arizona Indians. The gene shows up in 1 in 13 North or South American Indians on average, and it is approximately the same result for Hispanics, Latinos or Latin Americans, as they typically have as much as 50% Native ancestry. It is absent in most Eastern Native Americans, as opposed to Western groups. 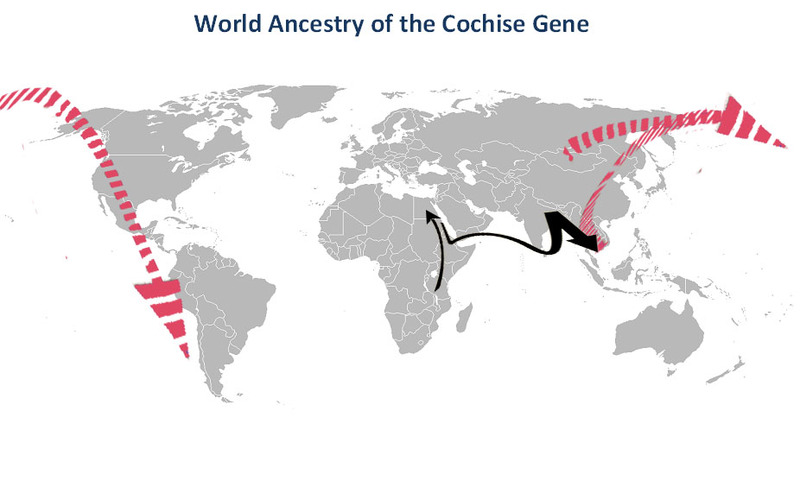 The Cochise Gene (in red) is huge in the New World compared to its Old World background (in black).